I consider myself extremely lucky in that I have an AMAZING group of women that I get to call my friends. 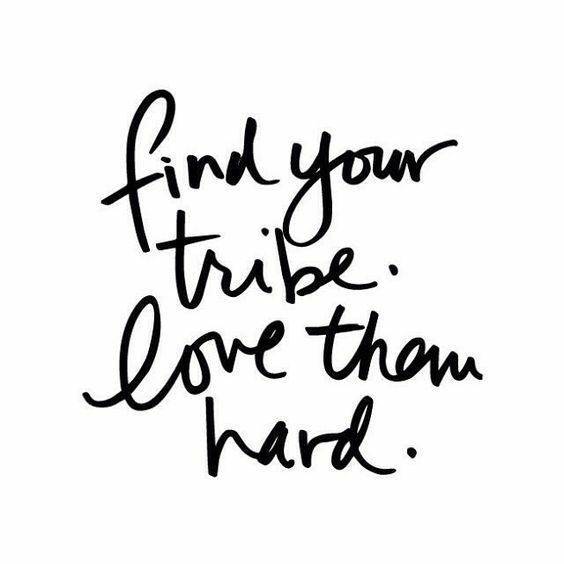 I've found my tribe and I love them hard. Dave and I tried out a Sunday School class for newlyweds back in 2005 and knew instantly that we had found our people. Dave had a crazy medical situation come up in early 2006 (I don't think I've ever blogged about it... but he was found unconscious at work and initially the doctors thought he had had a stroke) and those people who we had only met a few months before rallied around us and covered us in love, prayer and care. It was incredible. In 2007 a girl from our class started a Bible Study at Starbucks and I hesitantly joined. I didn't feel like I knew any of the girls really well, but I overcame my hesitation and dragged my pregnant self to Starbucks to talk about The Tabernacle :) Little did I know that the girls around that table at Starbucks would become my best friends and closest confidants. We met every Tuesday (or maybe every other... I can't remember at this point) and we dove into Bible study, held each others babies and opened up about being wives, mothers, sisters, and everything in between. 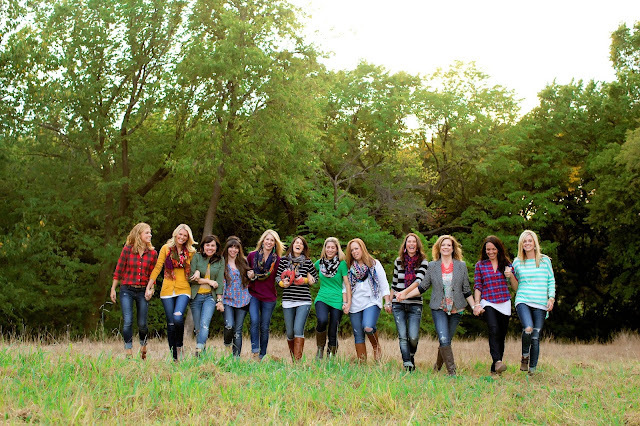 We worked through several studies and girls came and went, but a core group was formed and our bond grew stronger. Our group has seen each other through births, miscarriages, adoptions, fostering, divorce, loss, illness, parenting decisions, moving, and our fair share family drama. We've cheered each other on and supported each other no matter what. We know the ins and outs of each others stories and love each other even though sometimes our stories look a lot different. We've laughed until we can't breathe (a good reenactment of a story will do that) and sat and cried with each other when there's nothing to say. These are the girls who I can call when I'm feeling overwhelmed during Homecoming week and I can't find the DANG tiara for middle school court, the girls who I can send a picture of an injury to and ask "does this look normal", the girls who I can text when I come across a funny (and probably inappropriate) meme, and the girls who I know that if I need prayer will actually stop what they're doing and pray for me. I know my name has been written in all of their prayer journals multiple times over the years and it has been an absolute privilege to have theirs written in mine as we've prayed over and for each other and each others families. The questions I get asked about most in emails are about the friendships that I have with this amazing group of women and I hate that so many haven't found this kind of true, genuine friendship and it breaks my heart when people are shocked that the kind of friendships that we have even exist. If you don't have a "tribe", don't give up! Your people are out there! I will say that the likelihood of deep friendships just landing on your doorstep is slim :) You have to be willing to put yourself out there - whether that means visiting a Sunday School class, joining the PTA at your kids school, introducing yourself to your neighbors or inviting that mom you met at the park to Chick-Fil-A for a playdate. ;) Take the time to eat lunch with a co-worker instead of catching up on emails (GUILTY!!! ), invite the new couple from across the street over for dinner or text that friend you haven't seen in a while and invite them to catch up at Starbucks. Putting yourself out there can be scary, but it's worth it. Loved this post! It made me tear up a little! God Bless! Love it - this is so encouraging!! Well, this post made me all sorts of emotional. We have had the best times together...and we've held each other during the worst. Love my tribe. This is beautiful! We've just moved to a new city and I desperately hope to find this! This post made me cry.. In a good way! 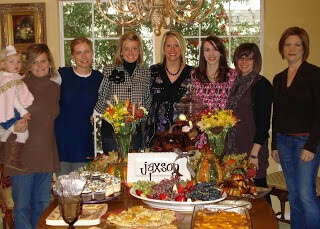 What a blessing good friends can be! Thank you for this post! It couldn't have come at a better time as I lay and pray last night for true friendship. Waking up reading this was the reminder that I needed to keep praying and trying! I love this! 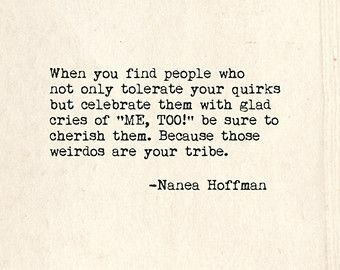 I have a few close friends here (we live in my husband's hometown, Denton), but I am still looking for my tribe. I love seeing the pictures of all of y'all on each other's blogs and the comments. Y'all are an amazing group of women.